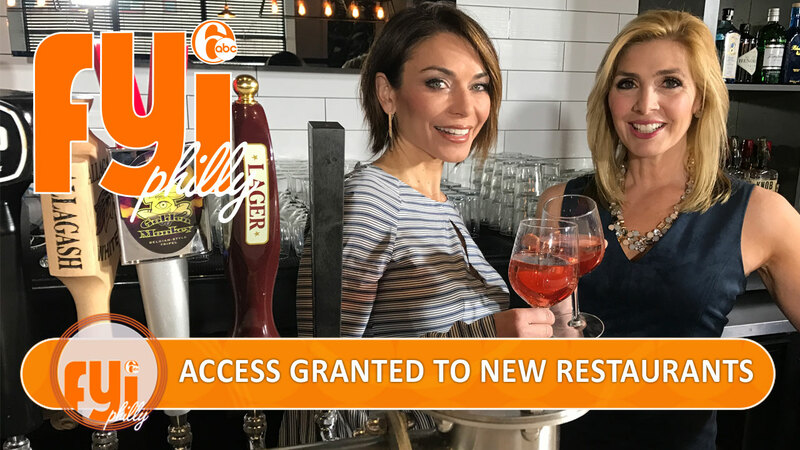 This week on FYI Philly, we pull up a chair at some new Center City restaurants, round up some favorite brunch spots, and grant viewers exclusive access to a modern member's only social club. We're also celebrating women's history month by highlighting some female-owned businesses and the latest in spring fashion for the ladies (and the fellas). Finally, we give our regards to Broadway Philadelphia with a look at the shows coming to the local stage and how you can score tickets to Hamilton. James and Friday Saturday Sunday are two new restaurants bringing an upscale experience to their respective neighborhood's bar scene. Two new restaurants are bringing an upscale experience to their respective neighborhood's bar scene. Melissa Magee takes us inside James in Logan Square and Friday Saturday Sunday in Rittenhouse. A strict no-cameras policy didn't stop Alicia Vitarelli and FYI from gaining access to this members only social club. In South Philly, a new member's only social club has opened -- a century-old club resurrected by the family of a South Philly chef. There is a strict no-cameras allowed rule, but Alicia Vitarelli and the FYI crew were granted VIP access to roam around. Brunch is fast-becoming a Philadelphia favorite. These three newcomers are bringing some flare to midday fare. Brunch is fast-becoming a Philadelphia favorite, and restaurants are responding by upping their game. Erin O'Hearn rounded up some newcomers bringing some flare to midday fare. S'mores, artisan cookies and other treats. Women's history month gets sweeter thanks to these female-owned businesses. March is, of course, women's history month. So we're closing it out by celebrating some female-owned businesses. We highlight four women all making a living crafting artisan foods. Spring has officially sprung. Philadelphia Magazine stops by to help spring clean the fashion look for the gals and guys. Spring has officially sprung, and that means it's time to spring clean our wardrobe. For help with that, we turned to the fashion experts at Philadelphia Magazine, who gave us closet essentials for both guys and gals. "Hamilton" is coming to Philly. Here's how to guarantee your seats. Plus, highlights of the upcoming performance season. The Philly Pops performs Ella, Louis & All That Jazz from March 31st-April 2nd. Karen Rogers has a preview. Hamilton is coming to Broadway Philadelphia for the 2018-19 season. Karen Rogers tells us how to guarantee seats to the show and takes a look at the upcoming season presented by The Kimmel Center & The Shubert Organization. Food tasting and fundraising are a wonderful mix. These charities are getting ready to throw parties with a purpose. Food tasting and fundraising; it's a beautiful combination. Two of our favorite charities are getting ready to throw parties with a purpose. The AAMP celebrates its 40th birthday this year. We preview the full slate of special events on tap. Philadelphia's African-American Museum celebrates its 40th birthday this year. Alicia Vitarelli takes a look at the full slate of special events on tap, starting with two photography exhibitions. In this week's shelter me, we visit a local rescue dedicated to helping dogs from rough pasts. In this week's shelter, we visit a local rescue dedicated to helping dogs from rough pasts.